Self-storage is a great business storage option for pharmaceutical companies that are in need of extra storage space. As part of being a pharmaceutical sales representative, you have a large inventory, documents and equipment to keep track of. Keep all of your samples, inventory and equipment in one place when you store with Storage World. Saves You Time: Choosing a self-storage facility within a sales territory will make it easier for a sales representative to grab samples and inventory quickly get back on the road. A More Organized Home and Office: Using a self-storage unit for the storage of pharmaceutical products, samples and inventory will help the sales representative keep a clean and organized home office. Keeps all Items in One Place: Avoid losing inventory or samples by storing all of your items in one place. Using self-storage can help a sales representative concentrate more on their sales quotas and not worry about storing to their inventory. There are many great amenities at a self-storage facility that are important for a pharmaceutical or medical supply sales representative including security, delivery acceptance, easy access and convenience. Gated Entry: Gated entry available seven days a week, from 6 am to 10 pm, so a sales representative will have no problem accessing their storage units when needed. Drive Up Storage Units: Our storage units are drive up, so sales reps can easily move their product in and out of their storage units, without having to carry heavy items down a hallway. Dollies and Carts Available: There are also dollies and cars available to easily move your inventory and samples into and out of your storage unit. 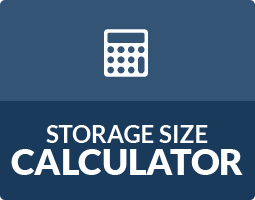 Variety of Storage Unit Sizing: Self-storage facilities have a variety of storage units available from a 5×5 closet size for a small amount of samples, to a 10×30 larger unit which would be a great place to set up work tables, shelving units or a shipping station if you need to ship out inventory to customers. 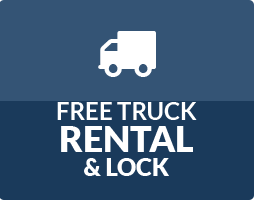 Deliveries Accepted: Most self-storage facilities can accept shipments on the sales representative’s behalf, (with certain restrictions), which eliminates the worry about receiving new shipment while on the road. The shipments will be held in a holding area until the representative can pick them up. Climate Controlled Storage: Most self-storage facilities offer climate controlled storage units which will help protect samples and equipment against damage from extreme weather conditions. Renting a climate controlled storage unit is very important for pharmaceutical or medical supply sales representatives because high temperatures could ruin the samples and warp the equipment. 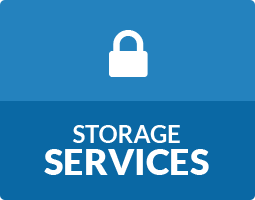 The self-storage industry has evolved to help businesses of all sizes with their ever-growing storage needs. Renting a storage unit isn’t only for storing personal items. It is a great solution for businesses and medical and pharmaceutical supplies and equipment representatives to store excess inventory, files and product samples. Reserve a storage unit with Storage World in Jonesboro, GA and Decatur, GA on Panthersville Rd and Flat Shoals Pkwy.